Cash registers are fairly straight forward; after the transformer, they tend to run on 5V, 12V and 18V DC, or some combination of each. Some run on exclusively 12VDC. 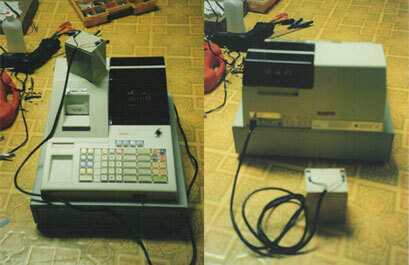 This particularly cash register was modified to 12VDC in 2000 and is still in use today.